Though both autism and Asperger syndrome were identified more than 50 years ago, autism spectrum disorders (ASD) continue to confound researchers, doctors and patients alike. With as many as one child out of 100 now diagnosed with ASD in the U.S., increasing numbers of people are experiencing the confusing and often painful challenges created by ASD’s social, sensory, and communication disorders. To educate the public about treatments for these disorders, Betty Fry Williams, Ph.D., Lindaman Chair and professor and coordinator of special education at Whitworth University, will present the seventh annual Lindaman Chair Lecture, "Best Outcomes for Students with Asperger Syndrome and High-Functioning Autism," at 7:30 p.m. on Wednesday, April 21, in the Robinson Teaching Theatre in Weyerhaeuser Hall at Whitworth. Admission is free. For more information, please call (509) 777-3228. During her lecture, Williams will discuss strategies for supporting education and life skills development in individuals with high-functioning autism and Asperger syndrome. While Asperger syndrome and high-functioning autism are milder variations of ASD, the hardships these disorders create for ASD sufferers in adjusting to society are nevertheless profound. Both conditions cause sufferers to have difficulty understanding social relationships, dealing with emotions, responding to changes in routine, coping with environmental stimulation, learning new skills, and living independently. One young man with ASD, considering how others reacted to him, described himself as “a poor computer simulation of a real human being," Williams says, citing a 2000 book, Asperger Syndrome (Guilford Press). Individuals with high-functioning autism and Asperger syndrome may not pick up on social cues, have the ability to read body language, or understand the give and take of social interaction. They may dislike changes in routine and obsess over particular interests. They may appear to lack empathy, avoid eye contact or stare inappropriately, may have odd facial expressions or postures, and may be physically clumsy. These individuals often have problems with flat speech that lacks changes in tone and pitch, may not recognize subtle inferences, and may talk too much about their own interests. Their speech may be formal and their understanding literal. They may be over-stimulated by loud noises, bright lights, strong tastes and bold textures. All these problems can make the world a bewildering, frustrating and exhausting place to live. Immaturity or naiveté can lead to bullying and intimidation by those who interact with people who have high-functioning autism or Asperger syndrome. An individual with high-functioning autism or Asperger syndrome may withdraw, is likely to have high levels of anxiety, and may develop depression. Other biomedical conditions are also commonplace, including attention deficit hyperactivity disorder, nonverbal learning disorders, and obsessive-compulsive disorders. On the other hand, effective early intervention and lifelong learning can reduce difficulties with socialization, communication and independence, Williams says. Good preparation can make the most of skills such as attention to detail, highly focused interests, persistence, and logical thinking — leading to career and life successes. Williams, who is in her 12th year at Whitworth, recently co-authored Effective Programs for Treating Autism Spectrum Disorder: Applied Behavior Analysis Models, with her husband, Randy Lee Williams, a professor of special education at Gonzaga University. The text will be released this June. Williams also is a co-author of Very Young Children with Special Needs, 4th. Ed. (Howard, Williams, & Lepper, 2010), a text for professionals and families working with children with disabilities from birth to age six. 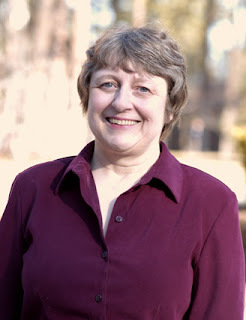 Williams also edited the text Directions in Early Intervention and Assessment (Williams, 2003), which was the result of a series of regional interdisciplinary conferences sponsored by the Spokane Guilds' School, with which she works closely. Williams began her work in special education more than 40 years ago and has published and presented extensively in this area. Williams was a professor of education at Gonzaga University for 19 years and helped establish the university's early childhood special-education training program and preschool. She was among the first professionals to train Head Start teachers to integrate children with disabilities, well before the Individuals with Disabilities Education Act was established; she also coordinated a regional Resource Access Project, out of the University of Kansas Medical Center, which served young children with disabilities in Iowa, Missouri, Kansas and Nebraska. Williams initiated the Infant Training Component (INTRAC) in Kalamazoo, Mich., for infants and toddlers with multiple disabilities and their parents; the program is still in operation after 40 years. The annual Lindaman Lecture is held each spring and features Whitworth's appointed Edward B. Lindaman Chair. The position is an endowed, rotating chair for senior Whitworth faculty who are engaged in significant regional and national academic initiatives and who contribute to public dialogue concerning important social issues. Williams' four-year appointment began in fall 2007. Located in Spokane, Wash., Whitworth is a private liberal arts university affiliated with the Presbyterian Church (USA). The university, which has an enrollment of 2,700 students, offers 55 undergraduate and graduate degree programs. Betty Fry Williams, Edward B. Lindaman Chair and professor of education, Whitworth University, (509) 777-4688 or bwilliams@whitworth.edu. Julie Shanholtzer, program assistant, Speakers and Artists Series and psychology department, Whitworth University, (509) 777-4263 or jshanholtzer@whitworth.edu.